The objetiv of the visit was to check the works carried out at the church of this town in Zamora. 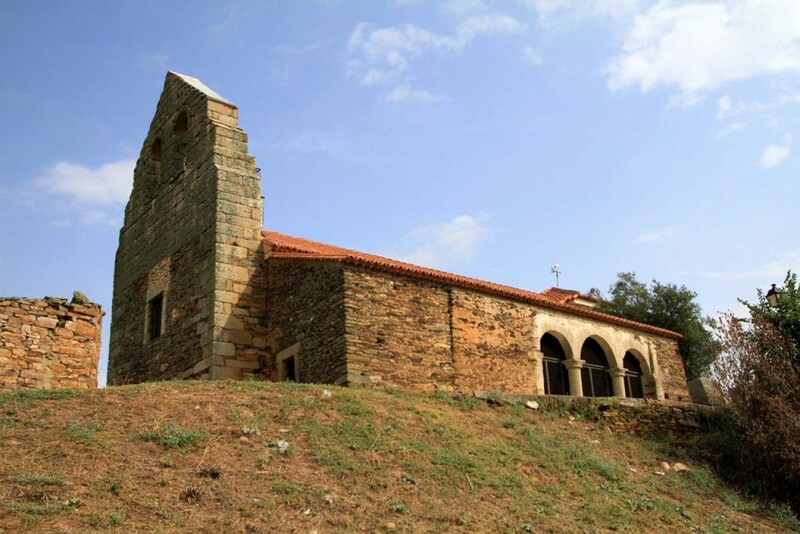 The works were framed within the Atlantic Romanesque Plan, a project developed by the Regional Government of Castile and Leon, Iberdrola España Foundation and the Ministry of Culture in Portugal, in collaboration with Santa María la Real Foundation and the dioceses of each territory. 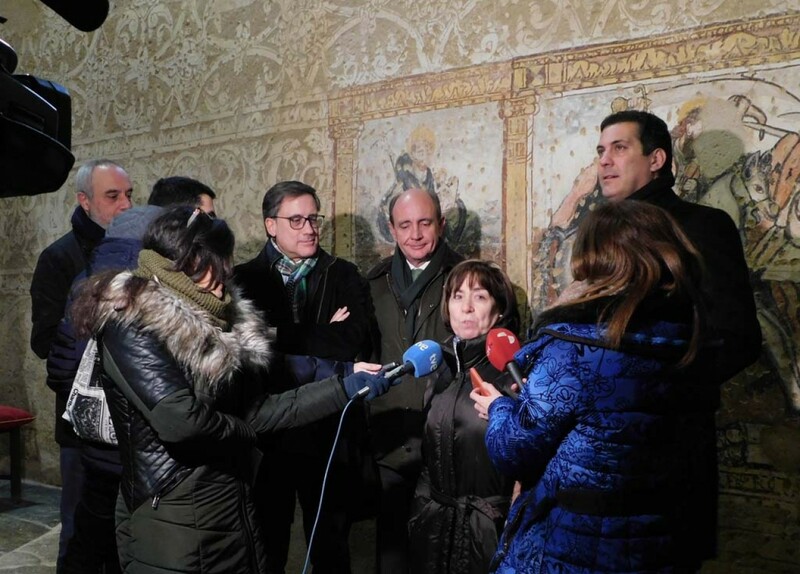 The actions were based on restoring the collection of mural paintings and improving the lightening and the monitoring of the church. 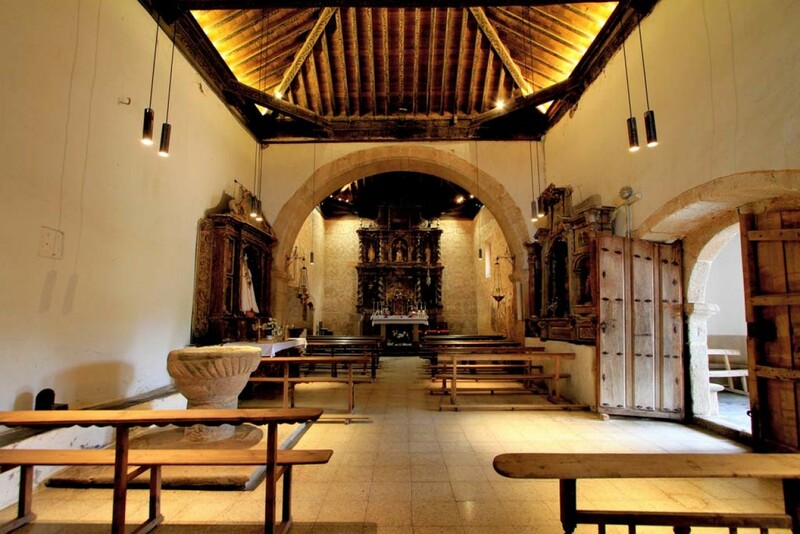 The propose of the works at the church of Muga de Alba was twofold: on the one hand it included the restoration of the mural paintings located at the presbytery and on the other hand it meant setting up an efficient lightening system. 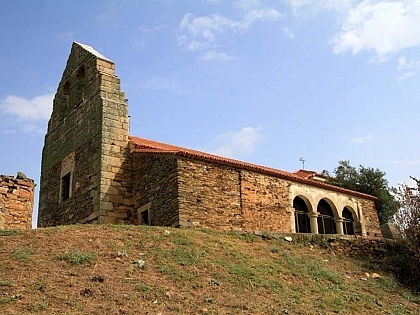 Both actions were concertedly developed along 2018 by all implied institutions within the framework of the guidelines of the Atlantic Romanesque Plan, which seek the promotion of the use of new technologies in order to conserve heritage and to apply power efficiency. 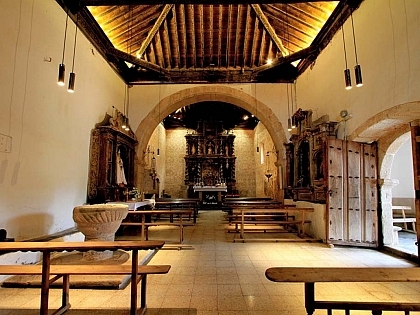 The set of mural paintings, which was restored by the regional government of Castile and Leon, was made in the 16th century with the intention of enriching and rejuvenating the most important area of the church: the sanctuary and its sgraffito ornamental motifs on mortar and several figurative scenes. The examples combining sgraffito with narrated scenes are scarce and hence the importance of this collection, which nevertheless presented several losses and holes, as well as detachments, lack of cohesion, smoke deposits, superficial dirt, whitewashed wastes and yellowed plasters. Its restoration was focused on cleaning tasks, consolidation of mechanic failures and fixing. Mortar material was also reintegrated in those areas where it was needed and some chromatic restoration was carried out at plinth level. Once the restoration works of the paintings were finished, and within the Atlantic Romanesque Plan, the renovation of the indoor lightening system was carried out by fitting an installation in line with the building necessities and therefore more efficient and focused on enhancing the pictorial setting. 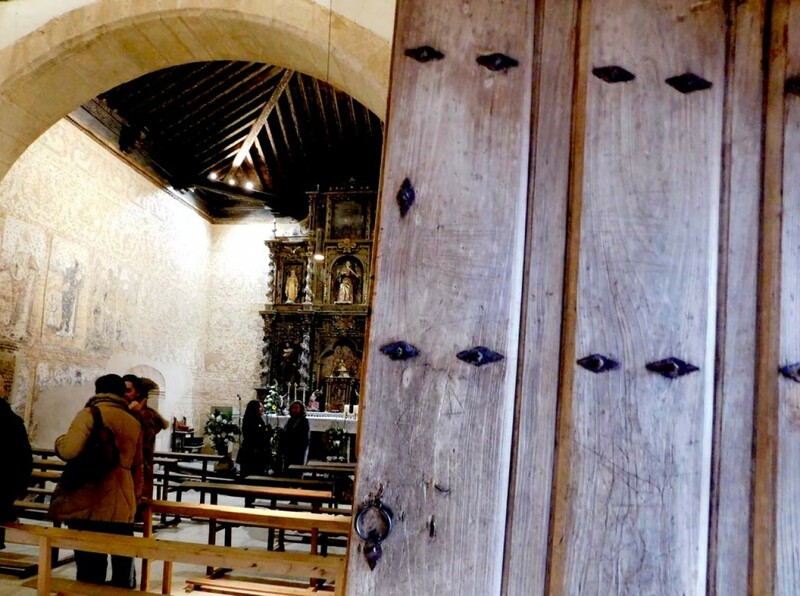 Moreover, the building was included in the monitoring heritage system, developed by Santa María la Real Foundation, and a network of temperature, wet and lightening sensors was installed in order to enable the preventive conservation of the building. Clear evidence has already been provided, since the system has detected that the natural light penetrating through the windows of the apse inaccurately strikes on the paintings and altarpiece. A smart window avoiding direct sunlight is being designed in order to correct this problem. The action was completed with the design of a leaflet and the installation of an information point which allows the visitor to access significant information about the church and about the Atlantic Romanesque Plan. Such information can be broadened by the use of a QR code. The actions have meant an investment of 74,000 Euros. 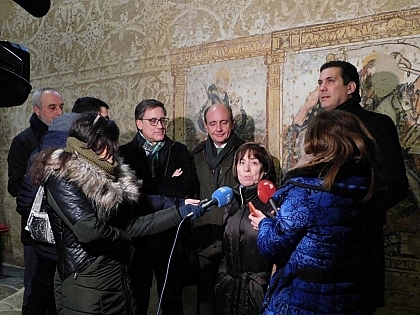 43,000 Euros were spent on the restoration of the collection of mural paintings and 31.000 Euros were allocated for actions of lightning and monitoring.